Beyond the health law, Trump also could push for some Republican perennials, such as giving states block grants to handle Medicaid, allowing insurers to sell across state linesand establishing a federal high-risk insurance pool for people who are ill and unable to get private insurance. This is the second short-term reauthorization of the program, which was originally slated to end in March 2016. Unlike the first reauthorization (which we discussed here), the Advancing Hope Act (S. 1878) was a more ambitious undertaking. As such, it amended the definition of “pediatric rare disease,” likely expanding eligibility for the program. We discussed the law’s impact on the program’s scope in a post last week. The law makes several other key changes. First, the Advancing Hope Act now requires Sponsors to notify FDA of the Sponsor’s intent to request a pediatric voucher upon the submission of a rare pediatric disease product application. This requirement comes into effect 90 days after the enactment of the Advancing Hope Act, which incidentally is just a few days prior to the program’s December 31, 2016 sunset. Second, Sponsors are now expressly prohibited from receiving more than one priority review voucher per drug. Reading the law makes it abundantly clear that the September 30, 2016 reauthorization is a stop-gap measure. Congress’s effort to quickly pass the bill and avoid creating a gap in the program, meant making a last-minute amendment to the program’s end date of at least September 2022 to December 31, 2016. As a result of the last-minute amendment, some parts of the bill are fairly nonsensical. For example, by 2022, GAO will be required to issue another report on the program, similar to the one it issued in March 2016. It would be odd if the pediatric voucher program was not reauthorized past 2016 and yet the GAO was required to report on the program in 2022 (more than 5 years after the end of the program). Members of Congress have expressed a strong desire to address FDA-related legislation (including the 21st Century Cures Act, which we discussed here) during the lame duck session of Congress after the November elections. Part of this attention will go towards discussing the pediatric voucher program and its long term or permanent reauthorization. Some Members of Congress (mostly Democrats) think that action on these three topics is so pressing that the legislation should contain enough mandatory funding so that they can be implemented as soon as possible. Other Members of Congress (mostly Republicans) agree on the importance of the three issues, but feel strongly that funding should be left to the appropriations committees. For the moment, the three bills are deadlocked, but it is money, not substance, that is holding them back. One or more of the three bills may move next week or in September or (possibly) during a lame duck session. But then again, there is no guarantee that they aren’t deadlocked for the year because of the funding issues. Meantime, the appropriations process seems to be facing a similar fate. There is some compromise and consensus baked into the current set of bills, but also lots of “poison pill” amendments and games-playing. Analysts are still predicting either a continuing resolution or an omnibus bill. Heading into a presidential election and a difficult transition (regardless of who wins), it is already clear that the most important issue next year, as this year, will be money to fund programs. Under the existing budget agreements, there is not enough domestic discretionary spending to meet high priority needs, no less to handle emergency situations (like Zika and opioids). Under the circumstances, it is hard to say where the money will come from to pay for the new administration’s initiatives. The primacy of funding concerns will occur regardless of which party controls the House and the Senate. None of this is good news for FDA or any of the public health service agencies. As the foremost advocate for FDA funding, the Alliance will continue to tell Congress about the broad mission and ever-increasing responsibilities on FDA. It will take all of us to make a dent against so much downward funding pressure. During the summer recess, Members of Congress return to their home states to hear from constituents and attend community events. Meeting with them during this time is a critical opportunity for rare disease advocates to build relationships, educate them on key legislative needs and follow-up on requests made during Rare Disease Week on Capitol Hill or phone calls or emails about legislative issues since then. This is a critical juncture for our community. Although the 21st Century Cures Act passed the House of Representatives with broad bipartisan support last July, the Senate has yet to pass the companion legislation. In the current partisan environment in Washington, it is important for Members of Congress to hear first-hand how united the American public is on the subject of medical innovation. A recent poll found that 78% of Americans think Congress should prioritize fostering medical innovations, with an emphasis on finding cures for diseases that still lack treatments. By joining us for In-District Lobby Days, you can urge your Senators and Representatives to support 21st Century Cures and advocate for other legislation benefiting our community. To register for In-District Lobby Days, please click HERE. RDLA will use the information you provided to schedule meetings for you, and help you prepare by providing key background materials and hosting a preparatory webinar to be held on July 13th. It is up to each of us to ensure the voices of rare disease patients and caregivers are heard in Washington. Please help us tell Congress loud and clear: WE NEED CURES NOW! 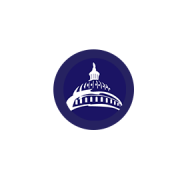 Has a staff member of a member of the U.S. House, Senate or Congressional committee been instrumental in helping to create and/or advance legislation that benefits the rare disease community? Do you know a government agency staff member who has gone out of his or her to listen to rare disease patients and then taken action to benefit the community? Do you know an advocate or organization that has worked with Congress or federal agencies to spearhead change on behalf of the rare disease community? Do you know an advocate or organization that has crusaded on the state level to support and advance rare disease legislation or regulatory reform? RareVoice Award nominations are open to the public. Winners will be selected by an independent committee composed of representatives from the rare disease community including previous RareVoice winners. To nominate a rare disease champion, please click HERE. Nominations close on July 31st, 2016. The winners will be announced LIVE at the fifth annual RareVoice Awards ceremony on November 16that the Arena Stage in Washington, DC and will receive the coveted Abbey award. The award is named after Abbey Meyers, the founder of the National Organization for Rare Disorders (NORD), and represents the “rare voice” speaking on behalf of patients, especially children, who might not otherwise be heard. The Abbey statue was commissioned for the RareVoice Awards from the renowned sculptor Nobe, who crafts each statue by hand in bronze.